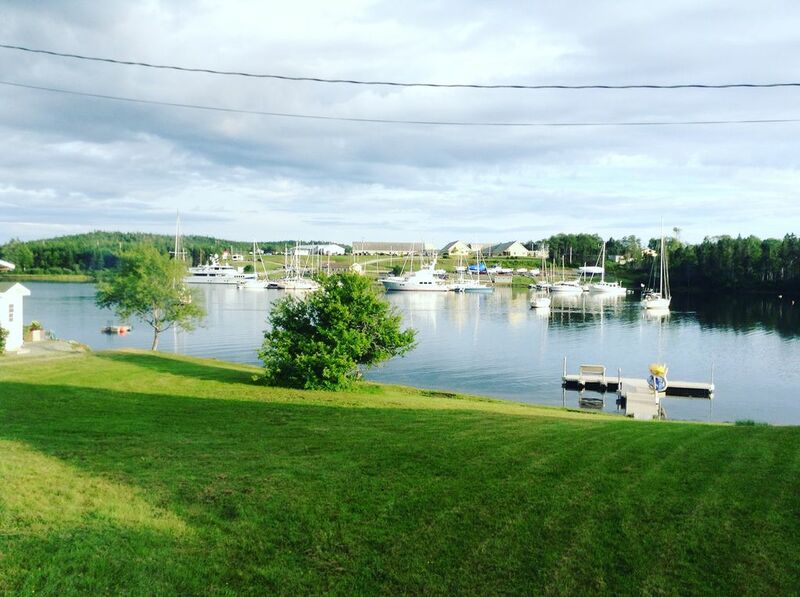 Christina's Cottage is a cozy renovated older waterfront house in the charming Historic Village of St.Peter's, on the Bras D'or Lakes, Cape Breton, Nova Scotia. Fully renovated with one downstairs bedroom, one upstairs bedroom, and extra accommodations on a sofa bed on the main level. Enjoy views from the waterside enclosed sun deck. This deluxe vacation house has been carefully designed and furnished with your convenience and comfort in mind. You'll be within walking distance of village services and amenities. Our exceptionally friendly village offers lots of opportunities for mingling or peace and quiet. Enjoy day trips to incredible cultural and natural attractions around Cape Breton. Other nearby activities include golfing, fishing, sailing, rowing and paddling - superb walking and cycling - opportunities for peak experiences in all! Bring your own kayak, canoe or small raft and launch from Christina's Cottage shoreline. STAY AND SAIL - bring your boat by land or sea, and moor it just a few oar strokes from the back door, or dock at the St. Peter's Marina, with launch ramp and wharf. Some of North America's finest sailing is just out your back door here on the Bras d'Or Lakes and Atlantic Ocean. Celtic Colours is a great reason to stay in the area through October. Lots of Celtic music across the Island.